Last night my friend Janelle requested a soup recipe so that she could have something hearty to eat during her long hospital shiftwork this week. I’m not envious of nurses for many reasons, particularly because they have to handle needles, catheters and are exposed to dangerously high levels of Jello. My poor stomach couldn’t handle the ever-changing meal schedule, week to week, of rotating shift workers. Even with the time change of one hour a few weeks ago, my stomach was left gurgling in confused exasperation for much too long. During my cleanse a few weeks ago I made this delicious lentil soup twice within a matter of days. 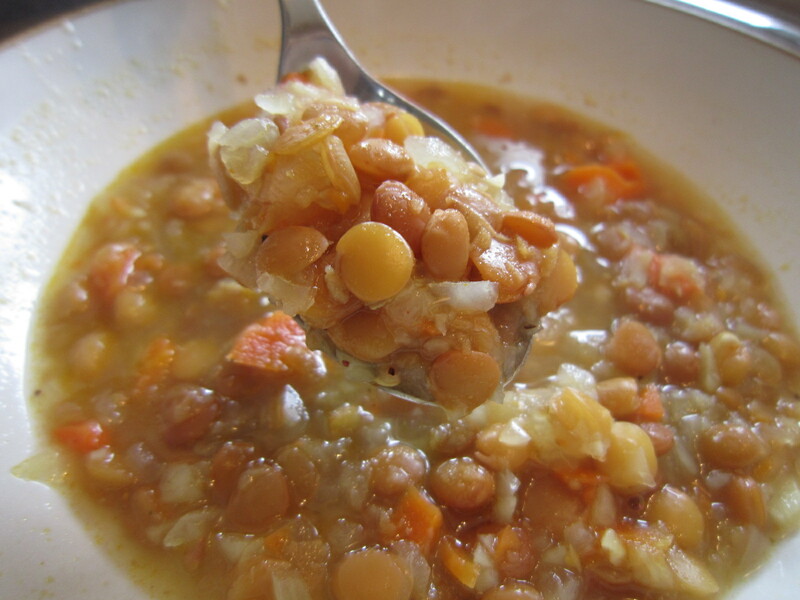 Lentil soup is one of my favourites – I love its consistency, colour and wonderful earthy flavours. I also feel very self-righteous when eating something as nutritionally rich as lentils. 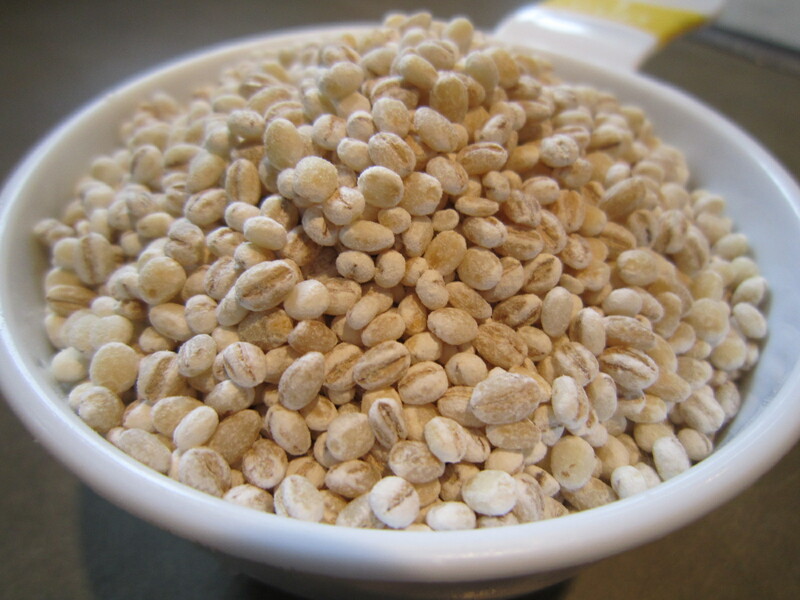 This is a spicier version of a basic lentil recipe, which gives a slight tingle to the esophagus on the way down. Not in a reach-for-the-pepto-bismal kind of way, but rather like the sensation of eating chicken tandoori; the subtle heat has an addictive quality and the curry powder nicely complements the lentils. You may want to double the batch to be safe, as it will go quickly. My parents are liars. I just found out that they used to feed me spaghetti squash when I was a kid under the guise of it being pasta. What trickery! All that I believed to be true in this world has been shaken and questioned. What other facts of my life, once the foundation of my existence, are also untrue? Was my dad’s famous Chicken Cacciatore really just cleverly disguised rutabaga? Was he really a boiler Engineer by day as we were all led to believe, or was he an international spy or arms dealer? I don’t yet have children, but I wonder if I’ll perpetuate the same little white food lies in the name of tricking young, picky palates with healthy foods – a kind of veggie Trojan Horse to lower their irrational defences. I probably will, as I’ve been told we all fall prey to the same devices as our well-meaning parents. I forgive you, Mom. Had I known your were trying to feed me a vegetable, I would probably have feigned insult or nausea and fallen out of my high chair in disgust. I know my childhood diet of Lucky Charms cereal and Captain Highliner Fishsticks must have been difficult to overcome. It’s easy to see how my unsuspecting brother and I could have been so easily duped. Spaghetti Squash is true to its name in that it really does pass for pasta. Italian children, likely possessing a more evolved appreciation for pasta, would probably smell the ruse a mile away and push their plates away with a haughty air – “Ma-ma, what eez zis sporcizia? !” (unfortunately, all my ethnic impersonations end up sounding Parisian). 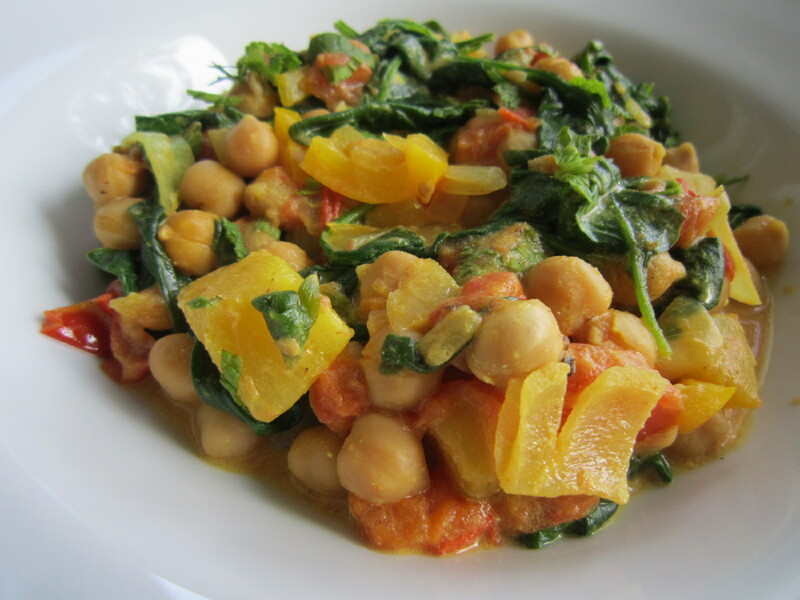 When prepared right, the taste is uncanny and offers a healthy, low carb alternative to pasta. 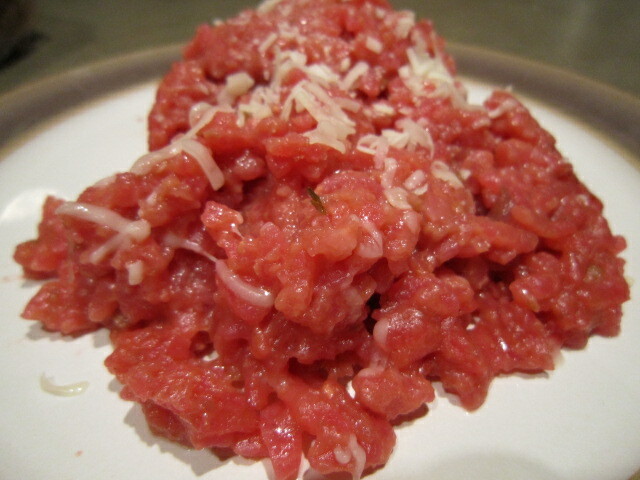 When cooked, its flesh falls away like strips of spaghetti. 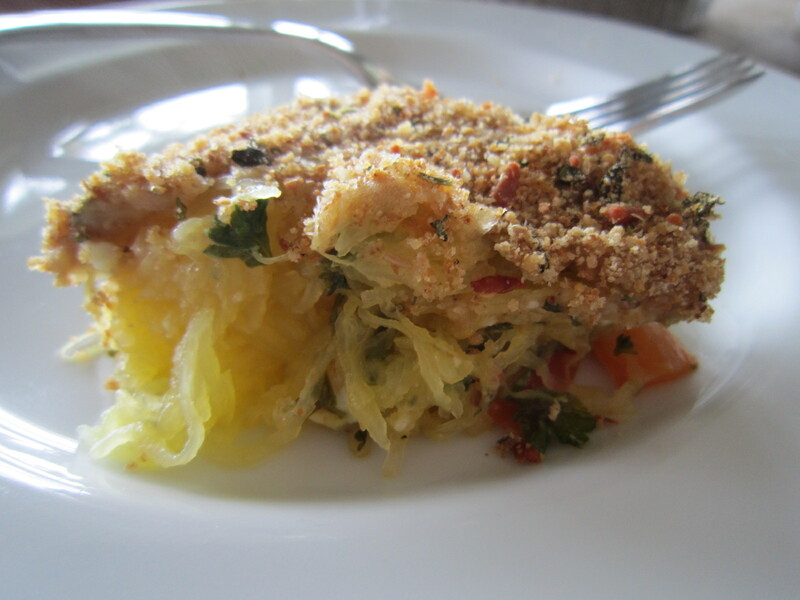 Last weekend I witnessed this firsthand during a family visit to Saltspring Island, where my mom and I prepared this healthy squash casserole. No matter how you cook it though, you may still want to call it spaghetti if serving to kids. And don’t forget to hide the peas in the mashed potato, while you’re at it. 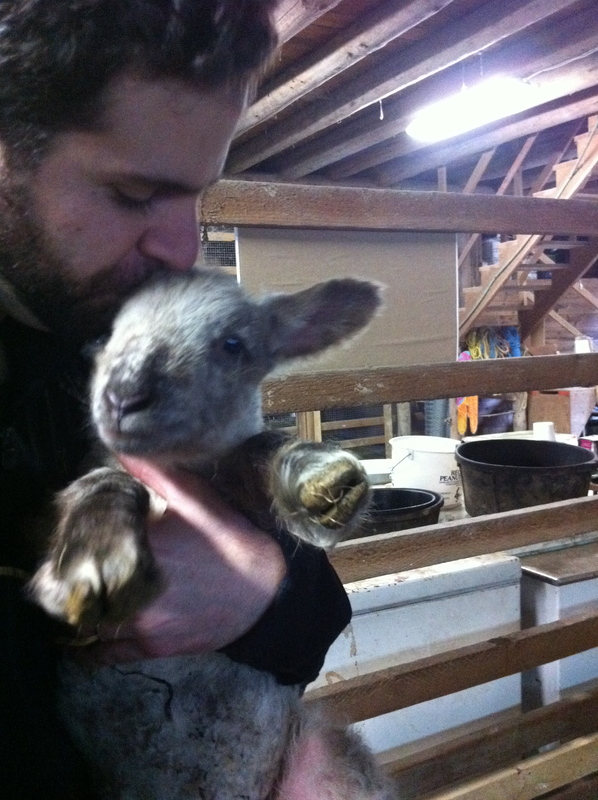 I spent this weekend on Saltspring Island visiting my folks and playing with their new Suffolk lambs that were born last week. Lambs are very docile within the first few weeks, letting themselves be picked up and cuddled; but they’re voraciously hungry, nibbling on clothing, shoelaces, an extended finger, or the dog’s tail. Thankfully, my mom’s sheep are for wool only, not for serving with mint sauce. She would just as soon make a stew from her Golden Doodle than send her sheep down the Green Mile. My sister has been sick for a few days, so my mom proposed a cooking marathon on Sunday to prepare some healthy food to bring over. 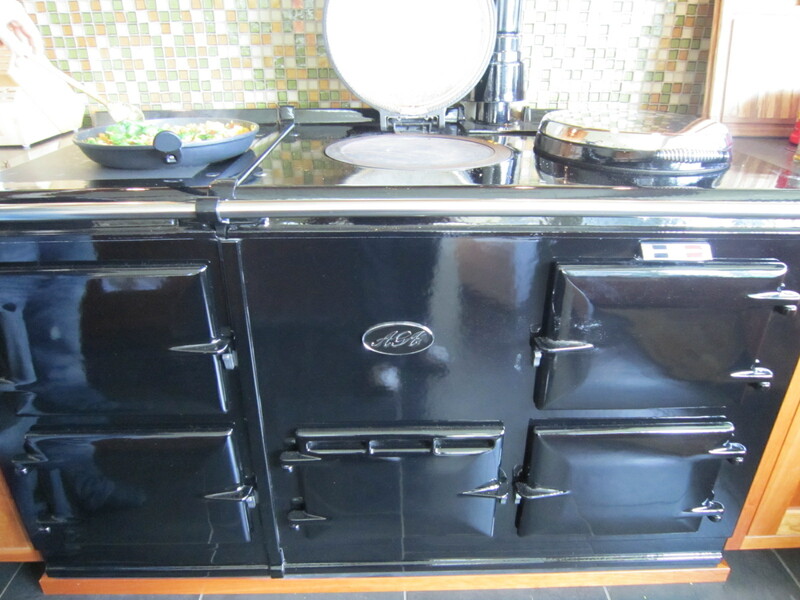 Cooking there is always a pleasure, except when baking is involved; my mom’s Aga stove, with its many compartments of varying temperatures, perplexes me and thwarts any attempt to adhere to standard cooking times. She has an immense, well-lit kitchen with ample counter space and breath-taking ocean views. Every few hours a ferry will trod past, weaving in and out of the Gulf Islands, or a pair of eagles will careen in the wind as they eye up waterfowl. We’ve added the yogourt here, for a healthier alternative to coconut milk, and the pineapple gives the dish a surprisingly sweet taste that compliments the heat of the curry. Enjoy! Today I had an intervention with myself. Lately I’ve been feeling lethargic, unmotivated and frankly a little flabby, so I decided that tomorrow I will wipe clean the slate of my eating habits and detox with a 7-day cleanse. No more muffins during coffee break and no more sneaking handfuls of Hershey’s Kisses in the afternoon when I’m in need of a pick-me-up. I’ve given myself at least a day to prepare mentally for the challenge and to also finish off any remaining bacon, Fig Newtons or dark chocolate in my house so that my rumbling belly won’t be tempted in the days to come. Tomorrow I will fill my fridge with green leafy things and stock up on essentials like yams, beets, quinoa and even the black wild rice that tastes like twigs. I will wash the grime from my unused water bottle and make an effort to actually drink from it throughout the day, instead of only using it to fill my iron or to water hard-to-reach houseplants. I’ll freeze any leftover bread, as it will be forbidden fruit to me over the next 7 days, as will be my Monday morning emotional crutch and companion – coffee. I pity my poor coworkers on Monday. The cleanse I bought is the ReCleanse Herbal Cleanse and Detox. It is probably very mild compared to others on the market and it’s suitable for someone like me who needs to consume enough calories in order not to throw a tantrum from low blood sugar whenever Microsoft Outlook acts up. It requires taking mild herbal pills, drinking enough water to substantially lower one’s productivity at work, and refraining from eating certain foods such as bread products, dairy (except natural plain yogourt), alcohol, coffee and refined sugars. I do this cleanse a few times a year, usually when the seasons change, and after seven days I feel stronger, happier and healthier. It usually also sets my eating patterns on the right course for another few months and saves me money from not splurging at the coffee shop across the street from work. The secret to making it through till the seventh day is to always have healthy snacks at the ready. I’ve got such little food willpower that this is integral for me. 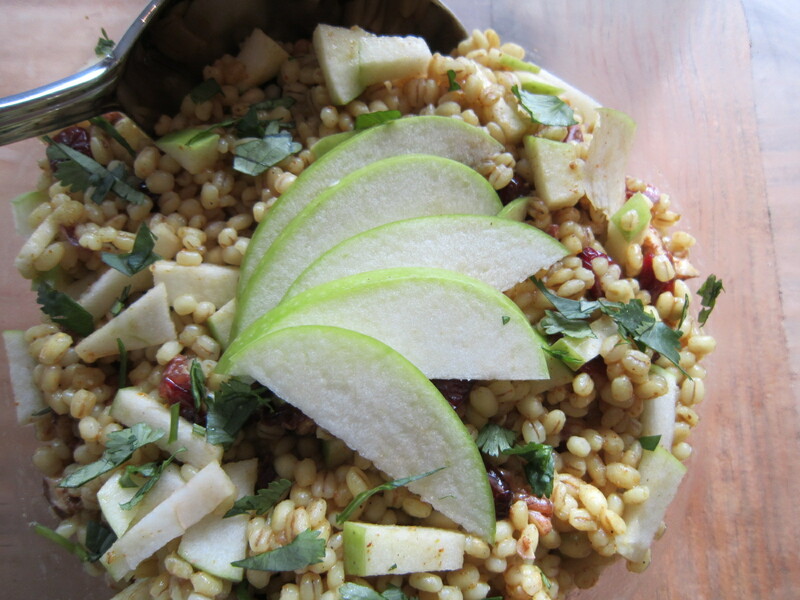 To help get me through the first few days, tonight I made a delicious batch of curried barley salad with apples, cranberries and pecans. It tastes fine warm, but even better as a cold lunch the next day. Enjoy! 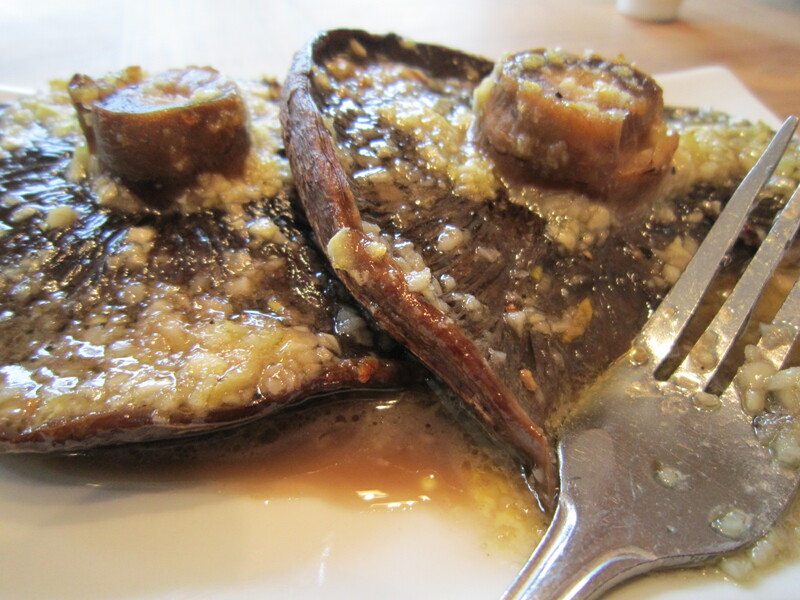 Portobello mushrooms are still foreign enough to me that I usually pass them by in the grocery store without much consideration, like kumquats or celeriac. I’m sure I’m not alone, as the cashier gave me a quizzical look when she peered in the brown paper bag at check out, unsure of its contents. I’m trying however to be bolder in the kitchen and to seek out new items in the produce section that would normally seem daunting. Fennel root and jicama, here I come! Although portobellos have been strangers to my countertop in the past, I actually do like mushrooms; I eat them raw, toss them into risottos and stir fry’s and always admire the striking orange chanterelles in wicker baskets at fall markets, flecked with earth and dew. Portobellos (or Portabellas, if you prefer) are large, meaty and extremely versatile; and although they are reminiscent of the large toadstool from Alice in Wonderland, they are really just overgrown, brown crimini mushrooms in disguise. I ate this dish for lunch, but it also makes for an excellent appetizer and visually-appealing side dish. There’s a lot of garlic here – the recipe calls for an entire bulb – but don’t cancel your evening plans just yet (although do make sure you have mouthwash on hand). The honey weakens the bite of the garlic, as well as adds such tremendous sweetness and flavour once cooked that the act of consuming it almost feels sinful. If I were a smoker, I would probably have lit up as soon I relinquished my fork…it was that pleasurable. Instead, I washed the dish down with a glass of our family’s home-made dessert Riesling wine, accompanied by a local Saltspring Camembert so fresh that it literally oozed with creaminess the moment I cut into it. This recipe is so simple you’ll want to make it every week. The step that takes the longest is waiting for the oven to preheat to 500 degrees F. The ingredient quantities listed make enough glaze for 6 mushrooms, but I wouldn’t necessarily reduce quantities if you bought less than six mushrooms. I actually made more glaze than I needed and refrigerated the remainder; it can be used up to two weeks later for other delicious purposes, such as drizzling on vegetables (especially asparagus) before grilling or baking and also for marinating chicken. Enter your email address to subscribe to this blog and receive notifications of new posts by email (just remember to check your junk mail, as you'll receive a confirmation email first).